GDP grew 6.4 pct in the fourth quarter, down from 6.5 pct in Q3. The economy is cooling faster than Beijing wants, but not fast enough to warrant the aggressive monetary and fiscal steps some bureaucrats, and many investors, would like. For now, expect more talk than action. 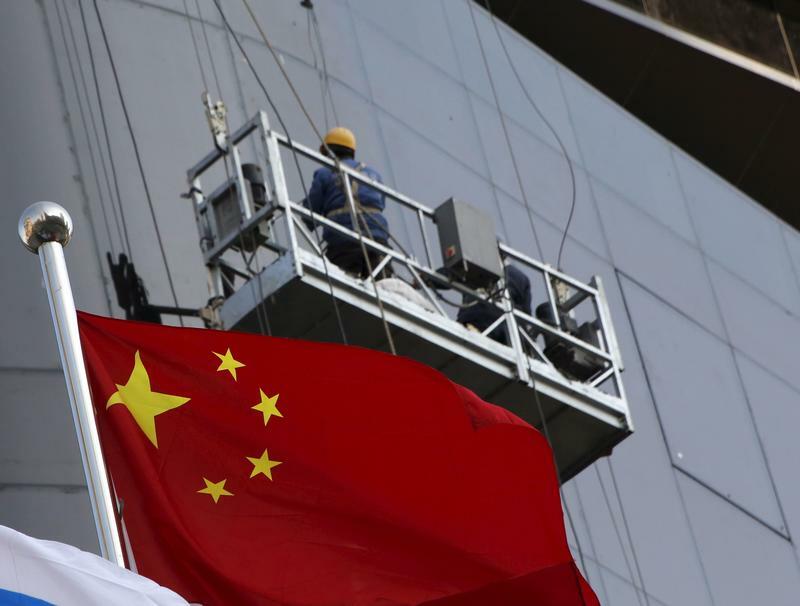 A construction site worker is seen behind China's national flag in Beijing, China, January 19, 2016. China’s economy expanded 6.4 percent year-on-year in the fourth quarter, compared to 6.5 percent in the third. Analysts polled by Reuters had expected quarterly growth of 6.4 percent. Full-year 2018 growth was 6.6 percent. Chinese banks extended 1.1 trillion yuan ($160 billion) in net new yuan loans in December, central bank data released on Jan. 15 showed, down from about 1.3 trillion yuan in November.